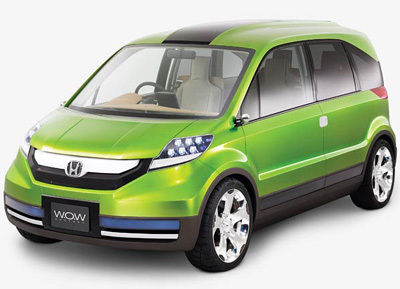 The Honda WOW which was rolled out at the 2005 Tokyo Motor Show has got to be one of the most far fetched concept cars of all time. The craziness begins with the name. WOW stands for 'Wonderfully Openhearted Wagon' - yeah seriously. This is meant to help underscore the fact the WOW was developed to be the most dog-friendly car ever. 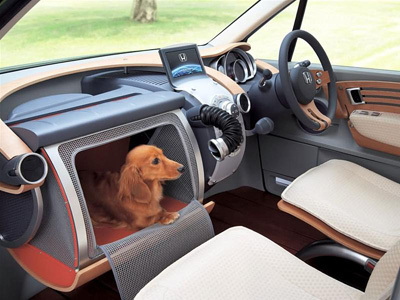 The Honda WOW has a range of unusual features designed to improve both the comfort and safety of any canine passengers. - Flexible air vents can be pulled out of the dash and angled to direct cooling (or heating) air towards the lucky pooch. 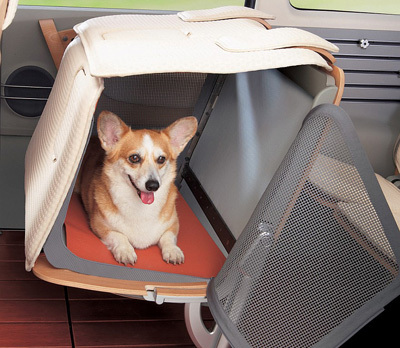 - The seats can be converted into plush crates to safely restrain the dog during transit. - Small windows integrated into the lower door panels are designed to allow the dog(s) to look at the scenery whizzing by. - The glovebox has been replaced with a larger compartment which can hold small to medium sized dogs. 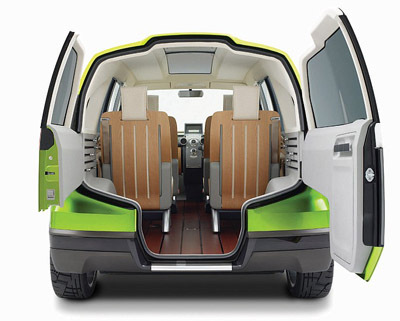 - To help the dog jump into the WOW in the first place, at the rear the doors have been designed to run right the way to the floor (in the centre) to reduce the height. 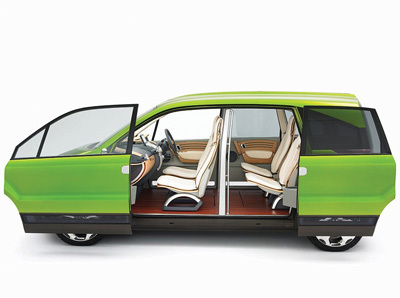 Even the exterior styling of the Honda WOW has been influenced by man's best friend. The slightly recessed headlights, coupled with the protruding grille are designed to imitate a dog's head (kind of). And the raised ridge which runs down the centre of the roof is influenced by the shape of a dog's spine. 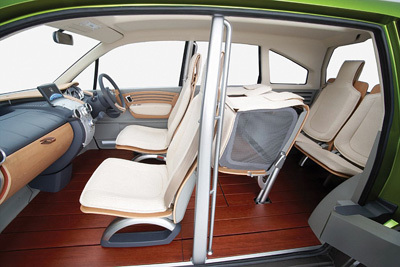 The Wonderfully Openhearted Wagon is powered by a front-mounted four-cylinder engine driving the front wheels.